VenueMagic Classic brings form and function to the Audio and DMX lighting world, making this the stepping stone to the DMX Revolution. DMX is not just for lighting anymore, we’ve combined timeline editing, Audio mixing and editing and sophisticated DMX Lighting control into one complete, easy-to-use package. Then, we gave you play lists, programmable sliders, DMX routing, MIDI control, beat detection and a whole lot more. Mix and edit multi-track audio for playback to a single stereo pair. 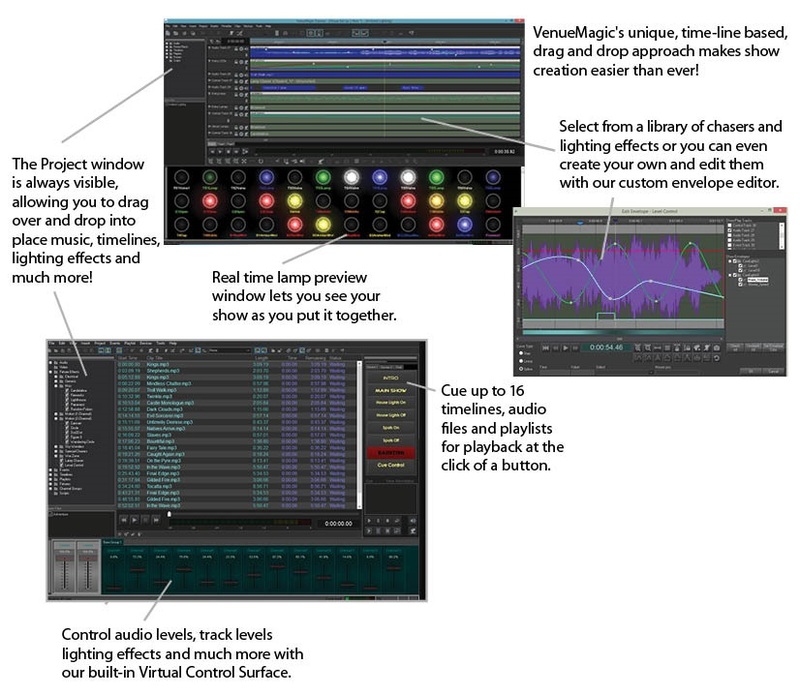 Control playback, lamp level and audio levels from an external MIDI, keyboard or joystick device.